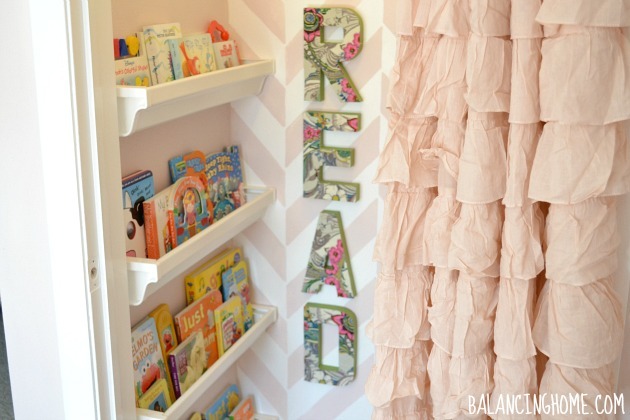 I am so flipping excited to show you Eleanor’s reading nook. 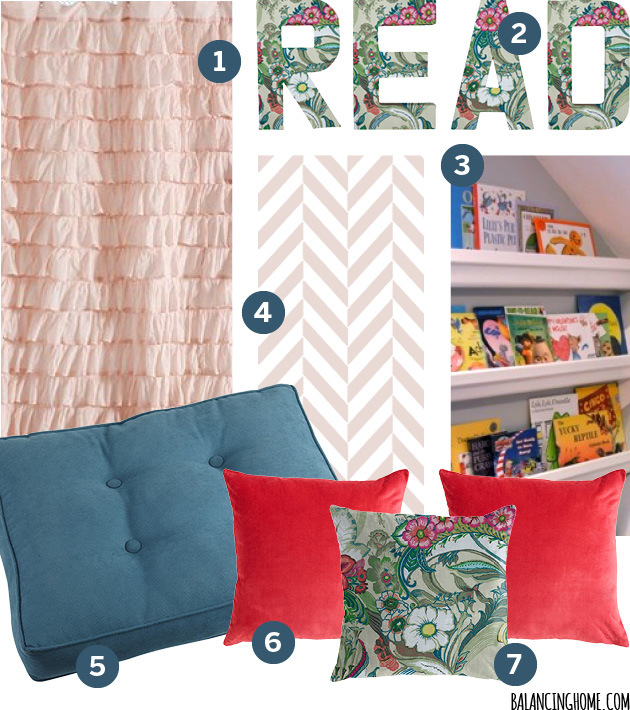 Last week I shared a mood board, AKA- my plan for her reading nook. 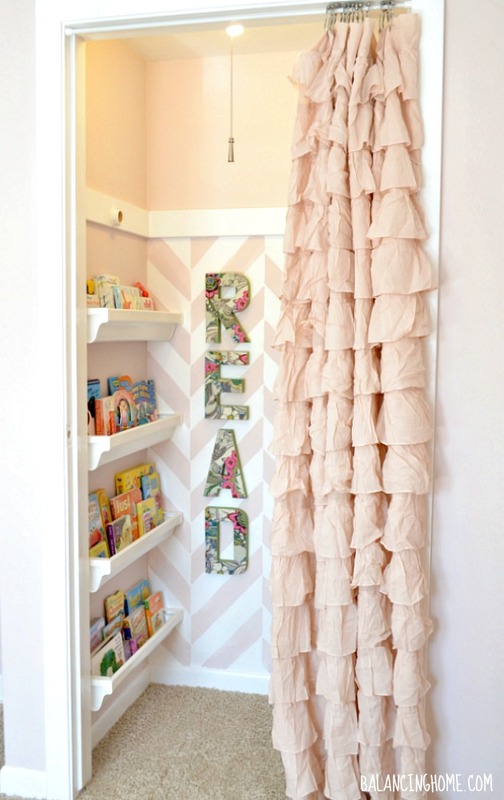 The Cutting Edge Stencil- Herringbone Allover is the key piece to this reading nook. 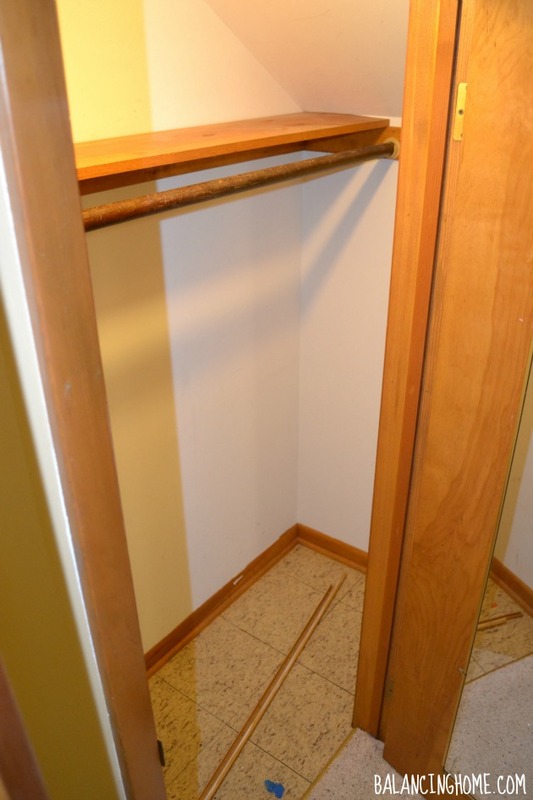 It defines the space and is that little extra something special. And because EVERYONE loves a good before. I absolutely love, love, love how it turned out. I cannot wait for little E to see it. 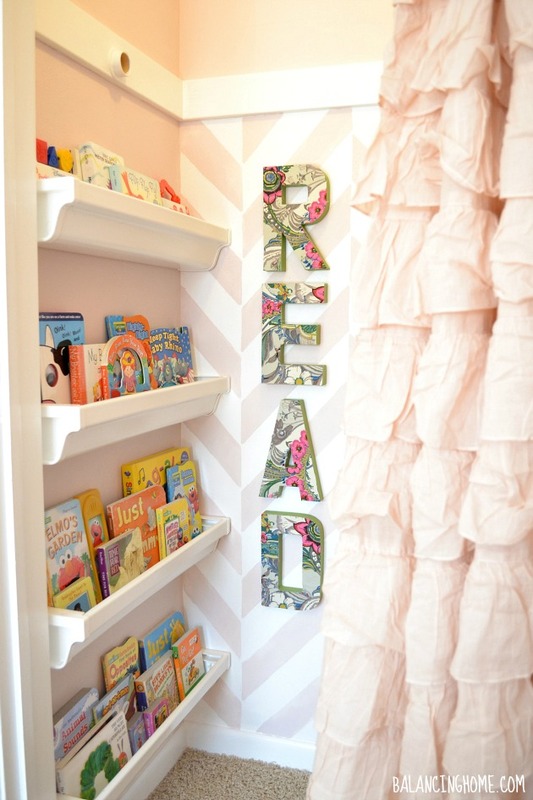 She is going to love hiding away in there and looking at her books. There is a cushion and some pillows tucked in there. The letter pillow matches her drapes and I made it (click here to see how). I literally could stare at this space all day. Doesn’t that stencil just make it a moment? Eek. 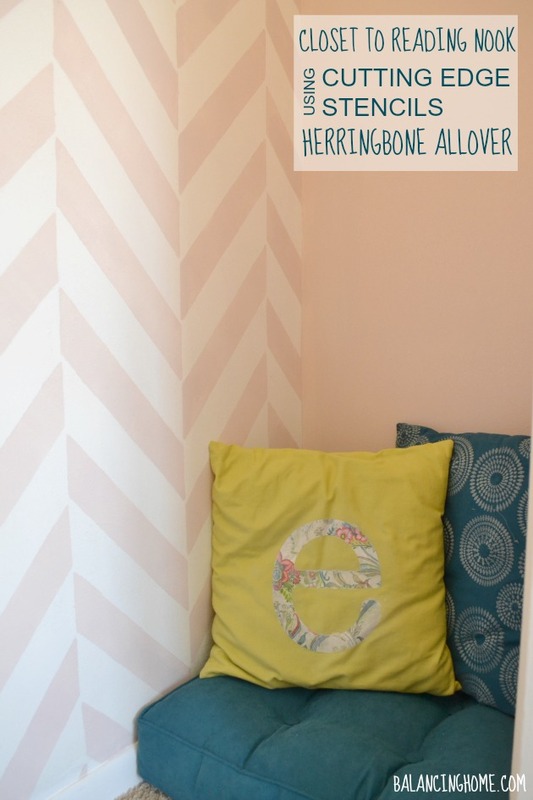 I used Benjamin Moore paint in Wild Aster and the Cutting Edge Stencil Herringbone Allover. For those of you interested in the whole stenciling process, check out this video. I made the letters from the crafty cardboard ones and covered them in paper I found at World Market with the same pattern as her drapes. 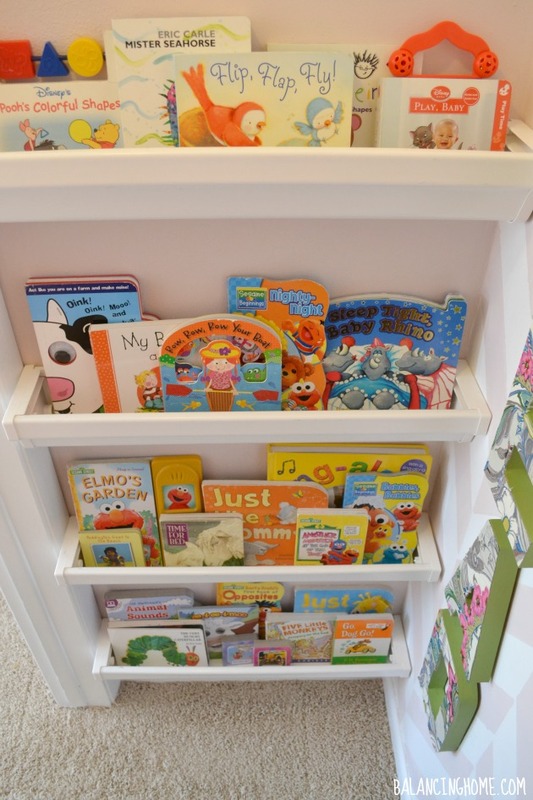 The bookshelves are gutters. Eleanor’s big girl room is coming together nicely. Next up we will be talking carpet squares. I know…exciting, right? 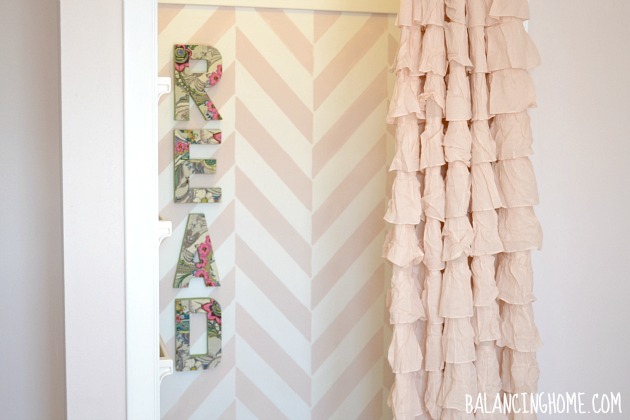 If it all comes together as nicely as this stenciled reading nook, I will be one happy momma! 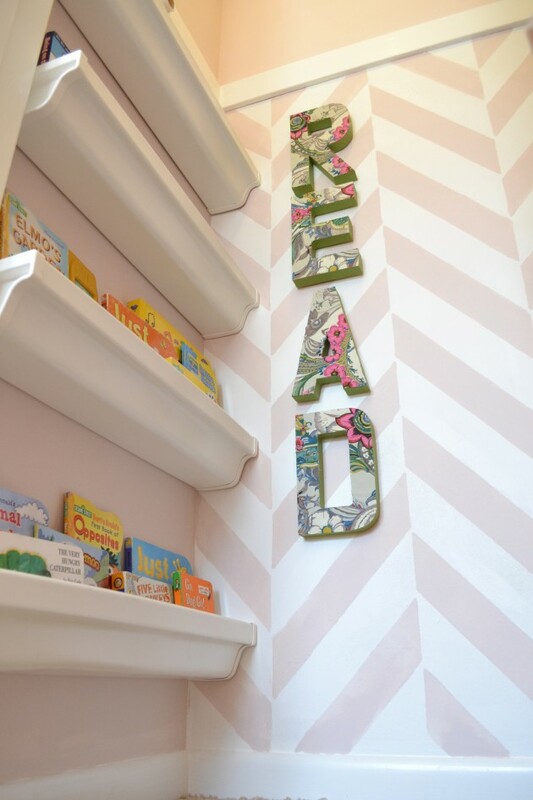 You can check out her big brother’s room reveal here. 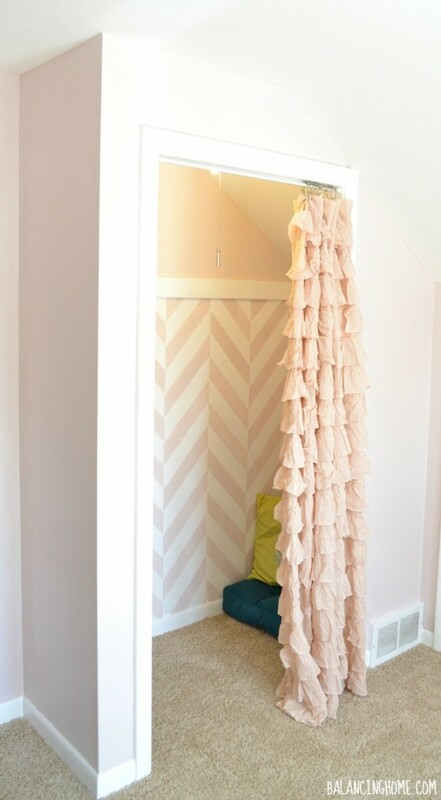 Cutting Edge Stencils has a blog with lots more inspiration for those of you who are considering stenciling a space. This is my second go with a Cutting Edge Stencil. I also used the Nadya Damask to stencil my living room drapes and a faux roman shade for the dining room. Cutting Edge Stencils is also kindly offering to give away a stencil of your choice, valued at $50 to one lucky winner. 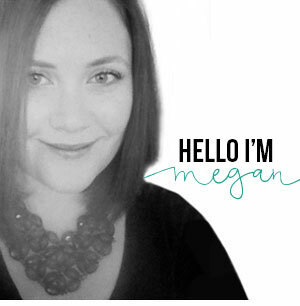 I would love to have you follow me on Facebook, Pinterest, Instagram and Twitter. 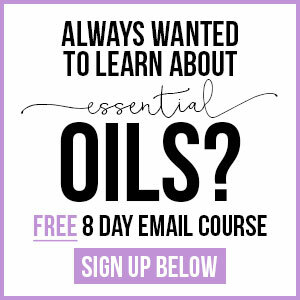 I love connecting with you all. 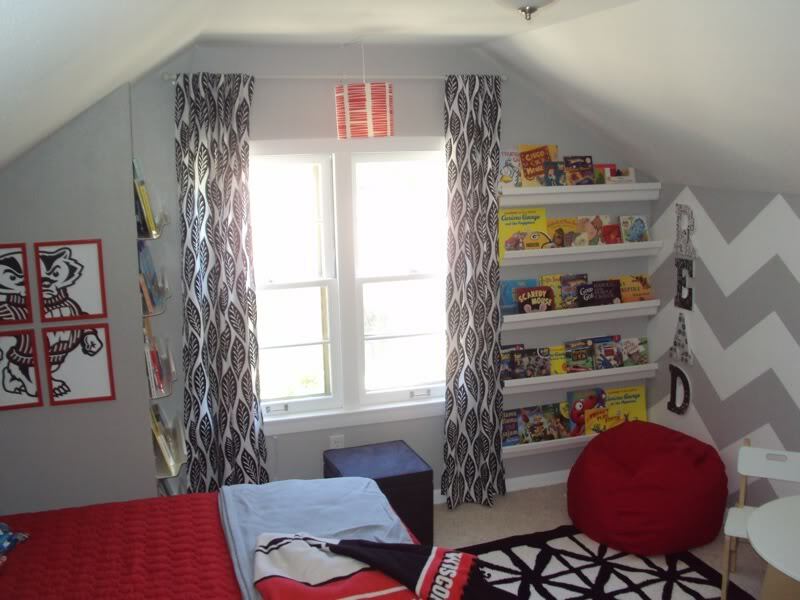 **I have posted about hanging the gutter bookshelves & other FAQ along with everything I know about carpet tile. ** You can find more inspiration in my project gallery and be sure to check out my house tour. Please wait for the Rafflecopter widget to load and don’t forget to hit enter to have your entry count.